Since graduating in 1982, Dr. Davidson has helped many men, women, and children through quality chiropractic care. His passion for safe, natural healthcare grows with each passing year and is evident through his practice, Adjusted For Life Chiropractic Health Centre. Dr. Davidson has always had a passion for movement. From a young age, he was involved in sports activities and interested in the function of the human body. Though he originally pursued his degree in physical education, he was particularly taken by his courses in anatomy and physiology and decided to pursue further education in the healthcare field. Since then, he has remained dedicated and involved in the field of chiropractic. 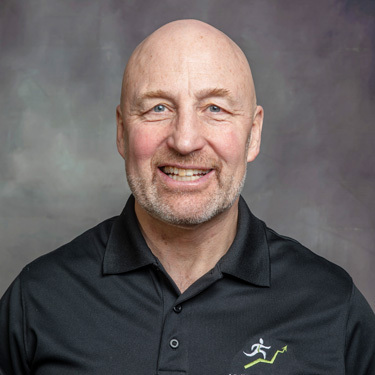 Following his degree in physical education, Dr. Davidson obtained his Doctor of Chiropractic degree at Canadian Memorial Chiropractic College in Toronto. Over the years, he has continued to further his education, becoming a diplomate of the Canadian College of Chiropractic Orthopedists and earning his certificates in both Chiropractic Occupational Health and Chiropractic Pediatrics. Dr. Davidson regularly contributes to the chiropractic profession by conducting professional development lectures for chiropractors, allied health professionals, and worker’s compensation groups. He has also served six years on the board of the Alberta College and Association of Chiropractors the (ACAC). When he is not busy at Adjusted For Life Chiropractic Health Centre, Dr. Davidson enjoys an active lifestyle with his family. Proud father of three and grandfather of two, he dedicates most of his time outside the office to his wife and children. Together, they enjoy mountain biking, wakeboarding, skiing, and relaxation on the lake. Get to know Dr. Davidson and his passion for helping patients when you schedule your first visit with us!